The weekday menu has dishes such as pan-fried sea bass and braised fennel with salsa verde, as well as pub classics (fish and chips, lancashire hotpot). On a Sunday lunchtime, roasts are the popular option. Beef was slightly more than medium rare – a small quibble about a great plate of food that included yorkshire puddings, bashed carrot and parsnip, a delectable pea, pak choi, mint and spring onion dish and horseradish cream. For pudding, our waitress directed us to the odd-sounding ‘peanut butter parfait with strawberry jam’. It was one of the finest puddings we can remember eating, but it could do with a better name. A decent range of drinks includes a guest cider (Orchard Cornish cider, say); real ales such as Thunderbird from Cottage Brewing in Somerset or Windsor & Eton Brewery’s Guardsman; and a global wine list with plenty by the glass. Best thing about the old dairy is the the Peeking apple and pork pancakes, which are amazing, the rest of the food is nice but not outstanding. If you go, eat in the right hand side of the restaurant rather than the main body of the pub. Amazing food served by friendly staff. I highly receommend it to anyone in the area. The food is amazing and the staff are so helpful. There is always a happy cheerful atmosphere whenever I've been in there. They have great weekend entertainment and their Sunday roast is second to none. Love it there. Great food. Great atmosphere. Great management and great beer. 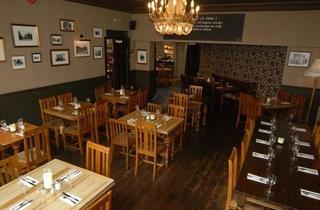 All round lovely venue whether your after a quick drink with mates or a special evening out. Fantastic place, great food! Friendly and welcoming atmosphere! great food great staff . allway's a good time to be had by all. The best good feelin local pub. Supports the local creative community with Life Drawing classes and wonderful Ra Yoga sessions PLUS it has the best DJ in town on a Saturday eve for a good groove on down on the dance floor - if you're lucky the harmonica makes an appearance and the DJ rocks it out with some wicked tunes. Worthy of 5 fat stars. Serving brown Hovis with a baked camembert that costs over £10. Serving roast with little or no gravy. Roast being served without veg, when veg arrived carrots were uncooked. Being laughed at by the barman who said 'there's no such thing as veggie gravy' when I asked for extra gravy for my friend's dinner. That's a no from me! I had 25 people visit the Old Dairy with me for a birthday meal. This is the worst restaurant ever! I DID NOT enjoy it at all. The staff served another table (although smaller than us) first and although we all got there by 7:30, we were all still waiting by 9:30pm. I was not happy at all! One member of staff spoke to me rudely and spoilt my birthday. I will never ever go to this restaurant again! Waste of time, money and effort! I feel very lucky that the Old Dairy is our local pub. They serve great food, and a good selection of drinks and because there is so much space and so many hidden nooks, it is usually easy to find somewhere to sit. The atmosphere on week nights and weekend days is lovely and relaxed, my only quibble being that it is sometimes a bit busy and a bit like a nightclub on weekend evenings. 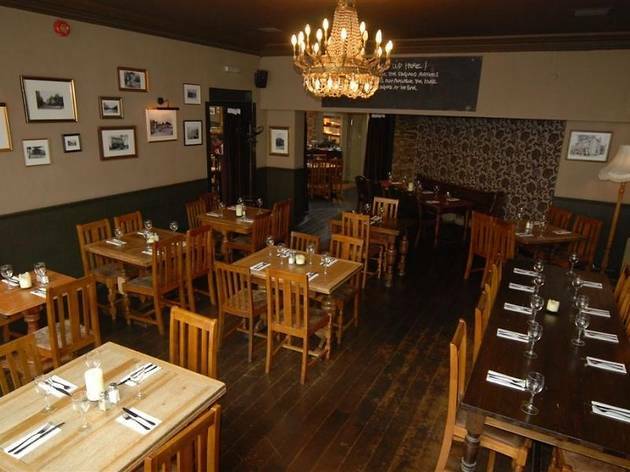 Spacious surroundings for a pint, coffee or meal, in a place that has original character (it used to be a dairy and has been sympathetically extended). Friendly staff and comfortable seating. Menu is wide enough to suit all the family. No garden, but you can watch the world go by in the "lounge area".